Another couple of weeks, and time for another video. This time I’m talking about my new OPUS BT-C3100 battery charger from AliExpress. I had wanted to experiment with some LiOn batteries, and after building a very crude discharge tester for the shaver repair, I decided I needed something a littl more substantial. People seem to like this charger, so $30 and 3 weeks later, here it is. You can watch the unboxing video here. I’m transitioning to putting a lot of my content on YouTube, so this wont be a long blog post, just a reference to the video. The battery in my Braun shaver had slowly been getting worse and worse, and it was succumbing to higher and higher internal resistance. 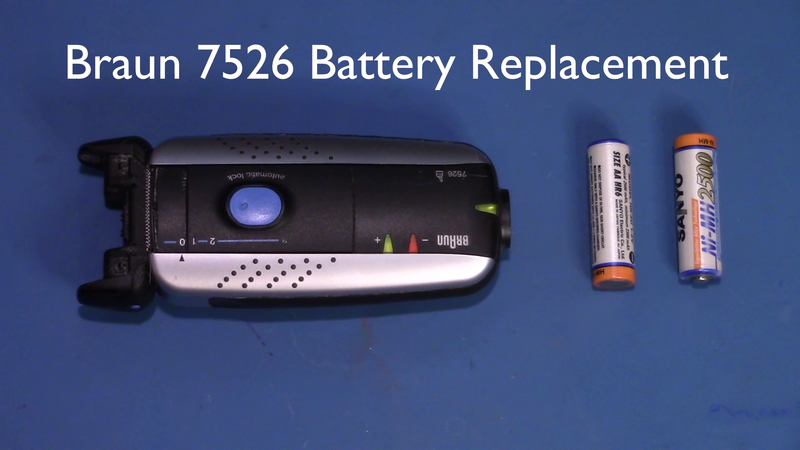 Luckily the Braun takes a completely normal AA NiMH battery, and the shavers are built to be fixed, so it’s a relatively easy task to take it apart and replace the batteries. And just to show that we can’t all be perfect, watch the video and see what I did wrong !